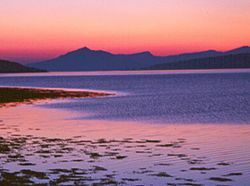 Perelandra Bed and Breakfast, Isle of Skye. The guest bedroom at Perelandra. Welcome to Perelandra, our brand new house on the sea shore. Come and stay in our lovely guest room with its spacious en-suite shower-room. Enjoy our fantastic views out over the water which is literally a stone's throw away. We have sunrises and sunsets to die for! 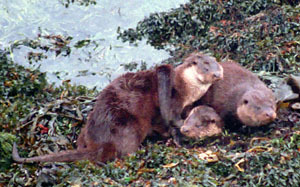 Watch for wildlife from the large windows in your room (binoculars provided!). 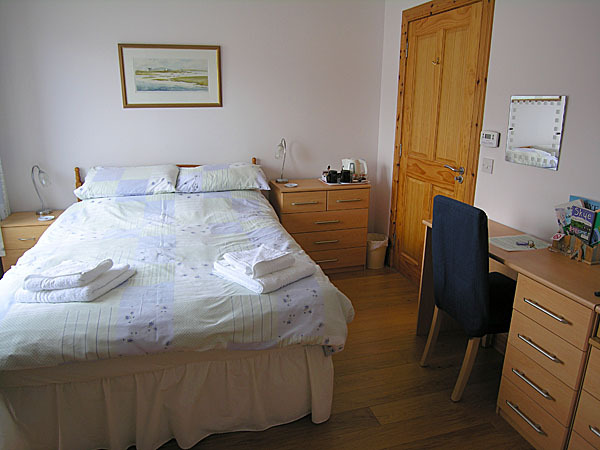 A bright, comfortable double room with wonderful views. Satellite TV, DVD, maps and guides provided. Spacious en-suite shower-room with power shower. Generous breakfasts served in our Dining Room. Choose from a varied menu, all home-cooked. Safe off-road free car parking. Accommodation all on the ground floor, suitable for those with mobility problems (ask for details about access). 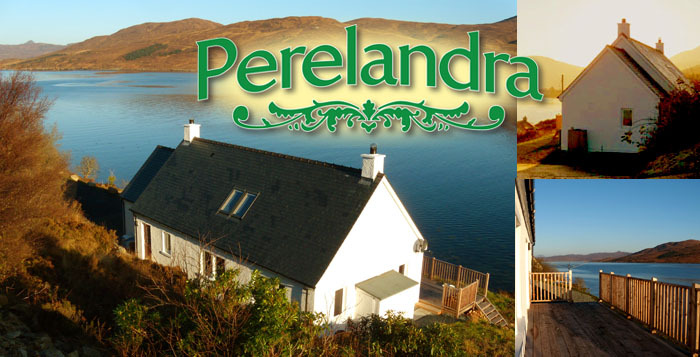 Perelandra is perfectly situated for exploring Skye. Shops, restaurants etc. 10 minutes' drive away. Strictly no smoking, and sorry: no pets other than Assistance Dogs.